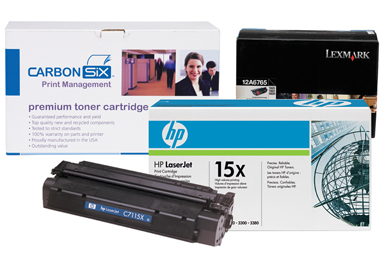 CARBON SIX Printing Solutions is an innovative print management system that will maximize the potential of your printer fleet while providing you peace of mind. This turn-key print management program will manage, service, and supply your printers; while allowing your organization to gain control, increase efficiencies, manage costs, and more importantly, allow you to focus on your core business. Since this program has multiple levels of service, please allow us to make an initial 20-minute appointment with you to demonstrate how our system works. From there, we’ll work together to determine which level of service is best for your business. Click here to learn more about Carbon Six. If you’d like to know more, please let us know how we may contact you about CARBON SIX print management.